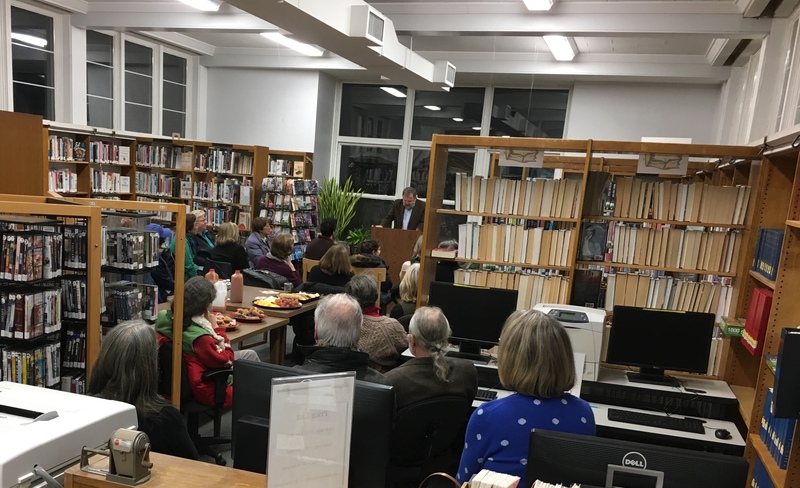 More than 30 people packed the Whitneyville Branch Library last evening for the latest “Evening in the Stacks” event co-sponsored by the Civic Association and Hamden Public Library. Bruce Coffin, read excerpts from The Long Light of Those Days, his memoir about growing up in Woodstock, Vermont. The event featured great conversations with neighbors and the author, book signing, and delicious snacks (including homemade donuts from our favorite librarian). Mark your calendars for our next event on Saturday morning, February 9, featuring award-winning local children’s author, Deborah Freedman.